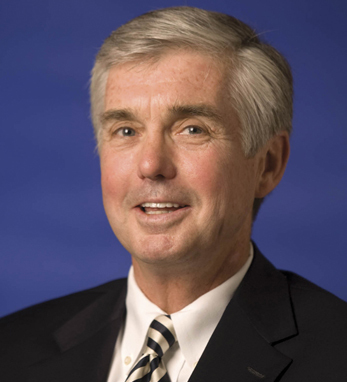 Kevin White is the vice president and athletic director of Duke University in Durham, NC. Since taking over the position in 2008, Duke has won seven NCAA Championships – women’s tennis in 2009, men’s basketball in 2010 and 2015, men’s lacrosse in 2010, 2013 and 2014, and women’s golf in 2014 – and 17 ACC titles. Last year, he was named Athletic Director of the Year in the NCAA. White, who holds a Ph.D. in education from Southern Illinois University, has taught graduate-level classes since 1982 and currently teaches a sports business course in Duke’s Fuqua School of Business as part of Duke’s MBA program. Prior to joining Duke, White served as athletic director at the University of Notre Dame, Arizona State University, Tulane University, the University of Maine and Loras College in Iowa, where he originated the National Catholic Basketball Tournament. White, who is second-generation Irish American with roots in Dungloe, Co. Donegal, and his wife, Jane, a former college track and field coach, have five children and 12 grandchildren. Click here to read White’s April / May 2017 Hall of Fame profile.